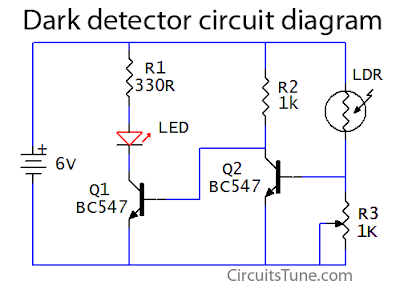 This is a basic dark detector/sensor circuit diagram based on a Photo Resistor (LDR) and few numbers of parts. 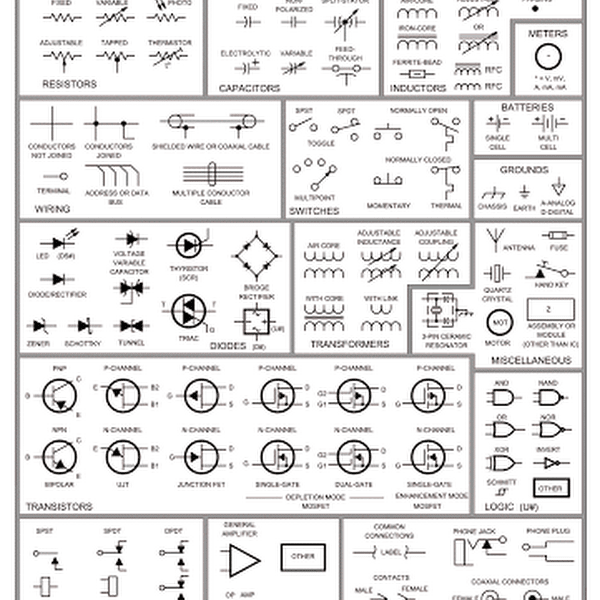 When the LDR (Light Depended Resistor) is in light its resistance is low, and when in dark its resistance goes higher. When the light level decreases means the LDR is in darks then LDR goes its maximum threshold resistance, then the circuit automatically switches on the LED. Here I used a 1K variable resistor as R3 to adjust the dark/light sensitivity of the circuit. Superb circuit. I made it with slight changes. Here are the changes. R1 = 100 R - Enough for the light i need. R3 = 680 K - Better dark sensing. Now this light will turn off when my room light is on (12W LED bulb). It will suddenly turn on the LED right after room lights turned off.